Students must answer the question: “What are your academic/professional goals and how do you plan to achieve them?” by using any of the following art forms: Prose, poetry, song, art piece, etc. 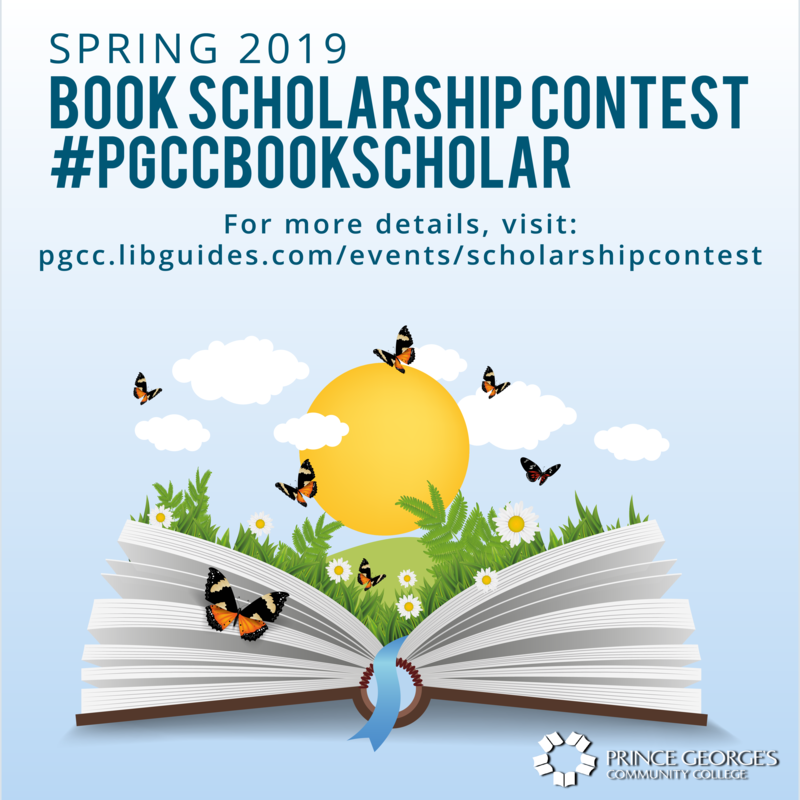 The submission can be text, video or image and should be uploaded to a personal Instagram account, to the Library's Facebook account, using the hashtag #PgccBookScholar, or sent via email. To find out more about Pathways, click here. Address the question, “What are your academic/professional goals and how do you plan to achieve them?" Instagram and Facebook users are encouraged to "like" their favorite submissions. Winners will be selected and announced by the PGCC Communications and Marketing and Library staff. Questions? Contact Outreach Librarian Julie Seigel at (301) 546-0138 for details.